Sato held off a charging field at Sunday's Indianapolis 500, walking away with his first victory at the hallowed speedway in IndyCar's premier race. Helio Castroneves finished second, while Ed Jones, Max Chilton and Tony Kanaan rounded out the top five. Takuma Sato is your #Indy500 champ. For the second time in four years, Helio Castroneves finishing a heartbreaking 2nd. This is the third Borg-Warner Trophy for Andretti Autosport in the last four years. Ryan Hunter-Reay (2014) and Alexander Rossi (2016) previously took it home. Castroneves narrowly missed out in his bid to win his fourth Indianapolis 500, crossing the line just 0.2011 seconds after Sato. He was one of four Chevys in the top 10, with Honda taking six top spots despite having issues with its engines. Sixteen cars finished on the lead lap. Pole-sitter Scott Dixon's afternoon ended as part of a scary crash with Jay Howard around the race's quarter mark. Howard lost control of his vehicle and slammed into the outside retaining wall before ricocheting into Dixon's car, sending Dixon airborne into the inside retaining wall. The fiery crash led to an extended red flag at the 55-lap mark. Dixon went airborne and his car is literally in pieces. Absolutely amazing he's walking away from that. Oh no.serious crash here at Indy. Scott Dixon and Jay Howard. And Dixon is out...huge sigh of relief in media center on that one. Alonso, perhaps the best Formula 1 racer on the planet, earned a 24th-place finish in his Indy debut. The Spaniard, who boasts 32 career wins on the F1 circuit, had never raced on an oval track or driven an IndyCar before prepping for the 500. He spent most of the afternoon battling near the front of the pack and had the fastest average time on the track before his engine gave out late. "I want to be the most complete driver in the world and the best driver in the world, and I want to win all the series in different cars with different driving techniques, " Alonso told reporters last month. "If I want to do that, I need to win it. And if it's not this year, we will plan it for the next attempt." Noooooooo. Honda engine goes in Alonso. Unbelievable. The crash that affected the most drivers of the day came on a restart with 17 laps remaining. James Hinchcliffe, Will Power, Josef Newgarden, James Davison and Oriol Servia were all involved in the accident as they went through Turns 1 and 2. Newgarden was able to get through the crash unscathed to finish in 19th, while the other four cars saw their day end. Montoya ran out of gas. He was incredibly slow entering his pit. Sato, who started fourth, managed to navigate the wreckage brilliantly and hold off Castroneves at the end. 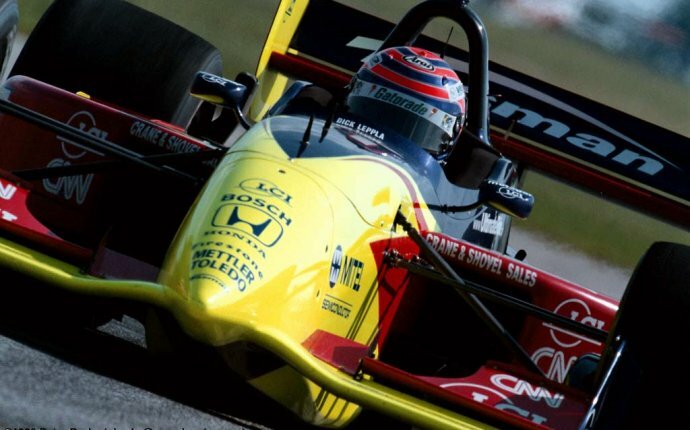 There were times where it appeared Castroneves had a run on the outside, but Sato powered his car through each time.